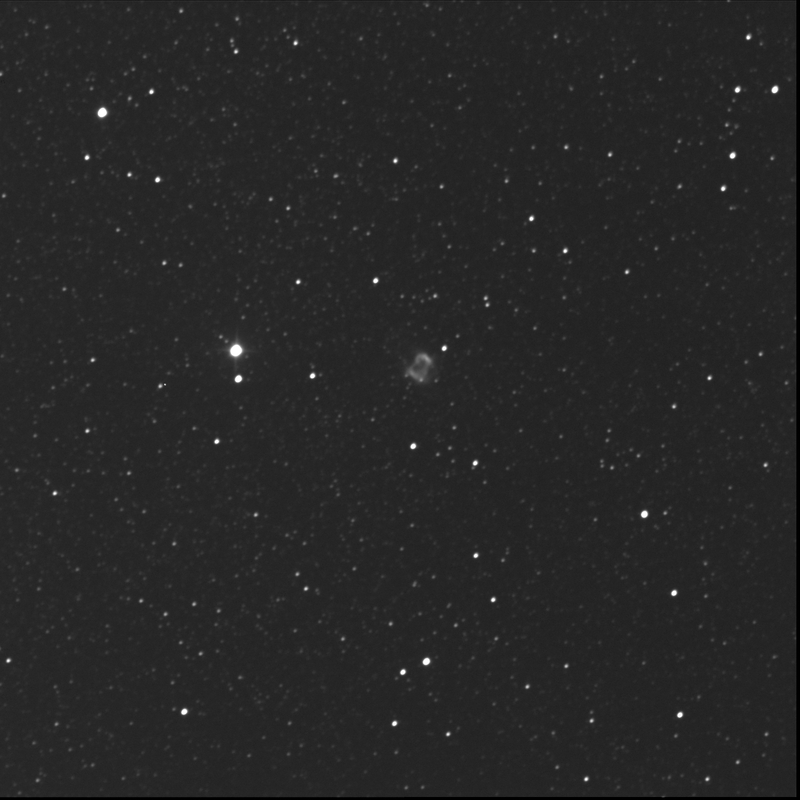 The Burke-Gaffney Observatory imaged NGC 6445 for me. It is one of the RASC Finest NGCs. Another planetary nebula. This time in Sagittarius. Luminance only, 30 seconds subexposures, 10 stacked shots. FITS Liberator, Paint.NET. North is up; east is left. This is another NGC I initially thought too low for the BGO. Glad I got it. This is a RASC Finest NGC that I have never viewed. Forgot, again, to gather data in hydrogen alpha and ionised oxygen. Left or east of the peculiar planetary is a bright double star HD 162010 aka HJ 2810. The A star is very bright; B is dimmer by a magnitude or two, well away, almost due south. 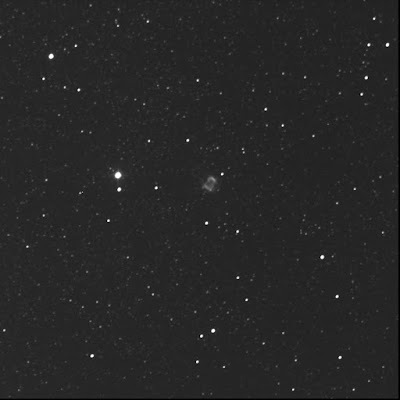 Imaged again on 8 May. Received H-alpha and O-III data.